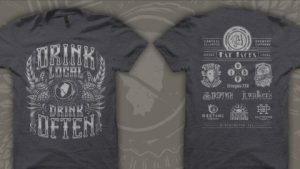 Home/Uncategorized/Preview the Brew – preparty at FatJacks! Why – meet the charities, drink some beers, pick up a yard sign and purchase some 2016 merch, and/or pickup your discounted tickets to Bruegala! I know that Bruegala is a spiritual event for many of you. You don your beer drinking attire, burn sage to cleanse your room, then commune with your spirit animal, you sing praises to the Gods. For these tributes, you ask for more information about what beers will be good and will find good flavor on your pallet. It may be a little extreme, but it’s totally worth it. This year, my faithful compatriots will make it easier for you to get your Bruegala fix a month before! Join us on the 30th of July 2016 for our Preview the Brew event! At this glorious occasion we will have plenty to drink, buy, and or take home. 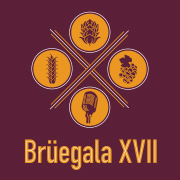 Bruegala event tickets will be on sale for $13 ($2 off! ), you’ll be able to pickup a yard sign to show off in at your house, apartment or cottage, and you’ll be able to meet representatives from the charities. … not to mention, you’ll be able to have a few drinks on a Saturday morning after the farmers market! Also, the Scoundrels from Half Hazard Press will be onsite doing some Live-Action Screen Printing! Check out this shirt that will be available! August 26 and 27 is close, but it’s still a month out… so come say hi to the Baron, he misses you!